This topic contains 0 replies, has 1 voice, and was last updated by choidivision 5 months ago. Thank you for all your support so far, we’re getting closer and closer to being funded and with your help are looking to reach 100% sooner rather than later, and beyond! Our new add-ons from earlier this week proved popular and have added a healthy bump to the funding progress. 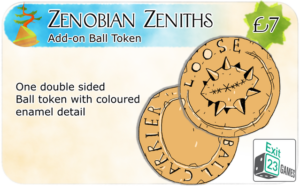 To that end, we have added another option for you all in the form of a Ball Token and are working on more to come. 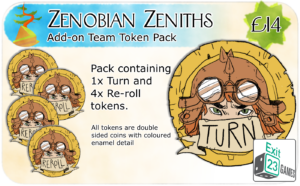 If this is your first Kickstarter, or you are simply not very familiar with the process, we are looking to create a guide shortly on how to increase your pledge. But really that is burying the lead. We know many of you want the star players and particularly the Human Expansion. 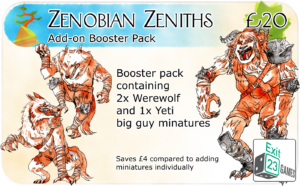 We’ve made the accountancy Goblins use all their fingers and toes to do the sums again and happily that has allowed us to adjust the stretch goals so each will be unlocked at a lower target. And remember each of these goals is included in every full team pledge automatically! So share the project with your gaming groups, share the project on social media and post about it on forums. All these things will help achieve our goal and before you know it there will be an update like this popping into your inbox celebrating us passing our funding target. 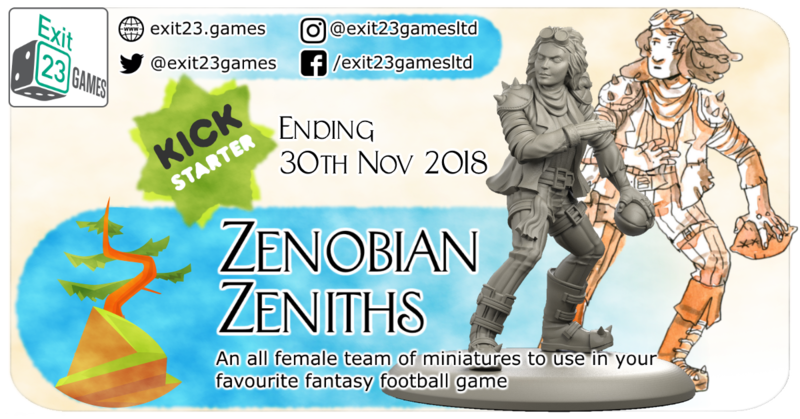 Also be sure to like and share the Kicker, and Dirty Player social media stretch goals as these will unlock two further fantastic miniatures which will also be included for free for anyone who has pledged for a full team.